A lack of accountability and weak coordination of Roma inclusion policies, compounded by ineffective protection against discrimination and a worrying rise in anti-Roma racism constitute the main structural barriers to successful implementation of national Roma integration strategies. Civil society (shadow) reports assessing the implementation of Roma integration strategies – from Bulgaria, Czech Republic, Hungary, Romania and Slovakia – and a Synthesis Report, provide a sobering overview of progress made and challenges ahead. 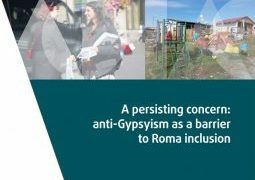 The reports analyse the preconditions for effective Roma inclusion covering governance, combating discrimination and anti-gypsyism, and access to education for Roma pupils. The shadow reports covering the five Central European countries with the largest Roma populations were produced by a network of almost 50 grassroots Roma and pro-Roma civil society organisations. 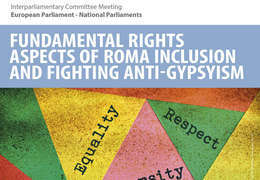 A full seven years after the adoption of the EU Framework for Roma Integration, the reports confirm that anti-Roma discrimination remains pervasive in many areas of daily life, and little has improved when it comes to ethnic profiling by police, segregation in housing and education, and access to the labour market. “Governance of Roma inclusion on the national level remains a complex and difficult field. Roma inclusion policies cannot be successful without competent executive coordination mechanism on the national level, and such mechanisms are weak or missing in most of the countries” says Violetta Zentai, co-director of the Center for Policy Studies at the Central European University that coordinates the Roma Civil Monitor project in 27 EU Member States. The reports reveal that actual implementation of the existing National Roma Integration Strategies (NRIS) largely depends on the good will, priorities and capacities of municipalities. Good intentions and progressive plans are often thwarted by scarce resources. While there are examples on the one hand of determined municipalities, shouldering additional burdens to forge ahead on Roma inclusion; on the other there are cases of local governments deliberately implementing repressive policies and discriminatory measures against Roma. Another problem is that financing of Roma inclusion measures relies almost exclusively on EU funding, which is planned in a top-down manner and often does not meet local needs. The reports demonstrate a twin-process of slow progress in terms of official recognition on the one hand, and a rise in public prejudice on the other. 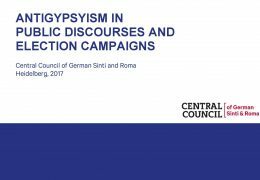 While Roma are increasingly recognised as an integral part of society and history, and some governments have officially acknowledged the role of genocide and racism in that history; this has coincided with an alarming rise in hate speech against Roma in traditional and social media; openly antigypsyist statements have become more frequent in political debate and public discourse. Roma are not effectively protected against hate-motivated violence and have little trust in law enforcement or judicial authorities. “Police forces, courts, and prosecutors often do not consider anti-Roma acts as hate crimes even if legal provisions would make that possible. In several countries, public actors caught in hate crime can get impunity relatively easily,” explains Jelena Jovanovic from the ERGO Network, partner of the Roma Civil Monitor project. There is little evidence of actual or planned policy interventions to overcome residential segregation, and some countries are even witnessing a growth in the number and size of localities with concentrated, socially-excluded populations, often in appalling conditions lacking basic infrastructure and access to basic public services. Desegregation in education remains sluggish, and only limited measures have been taken by Member States to resolve this issue. Despite the European Commission launching infringement proceedings against the Czech Republic, Hungary and Slovakia, only the Czechs responded with systemic measures. However, following the change of government those reforms are at risk of being halted, or even reversed. Administrative measures adopted by the other countries have not had any significant effect in reducing school segregation. In fact, segregation of Roma pupils in secondary education is a new emerging problem. The Roma Education Fund, analysing the reports from the five countries concluded that there is a lack of accountability by national governments when it comes to providing Roma with access to quality education, especially in rural Roma settlements. Consequently, poor quality education, high levels of grade repetition and early school leaving leave many young Roma poorly qualified and ill-prepared to compete in the labour market. Each of the country reports and the five-country synthesis include sets of practical recommendations to improve the implementation and impact of NRIS, directed at national governments and local authorities. The Roma Civil Monitor continues to publish country reports from 27 EU Member States with Roma population (all member states except Malta) developed by more than 90 NGOs and individual experts across Europe. A synthesis report on the whole EU will be published this autumn. The Roma Civil Monitor (2017-2020) is a project initiated by the European Parliament and managed by the European Commission, Directorate General for Justice and Consumers. It is coordinated by the Center for Policy Studies at Central European University (CEU), in partnership with the European Roma Grassroots Organisations Network (ERGO), the European Roma Rights Centre (ERRC), the Fundación Secretariado Gitano (FSG) and the Roma Education Fund (REF). The objective of the project is to contribute to strengthening the monitoring mechanisms of the implementation of the national Roma integration strategies through systematic civil society monitoring. The additional value of civil society monitoring comes from the independent status and the field experience of participating NGOs. The pilot project aims to enhance civil society monitoring in two key ways: by developing the policy monitoring capacities of civil society actors, and by supporting the preparation of high-quality, comprehensive annual civil society monitoring reports.